Welcome to Projekt-Kodu! 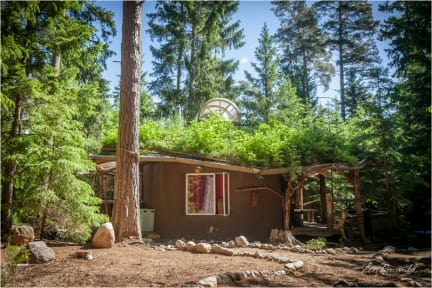 Only a short ride from Tallinn you will find a beautiful Eco-Hostel and retreat. If you don't have a car, don't worry, there are frequent buses from Tallinn to Loksa, from where we offer a free-shuttle service to the hostel. This hostel is unlike any other; tucked away in the old growth forest of Lahemaa National Park it is the perfect place to reconnect with nature. Come explore the many hikes starting right from our backdoor. Cycles are free for you to use as you explore the surrounding coast, lakes and an old Soviet submarine base. If you are looking for romantic getaway. 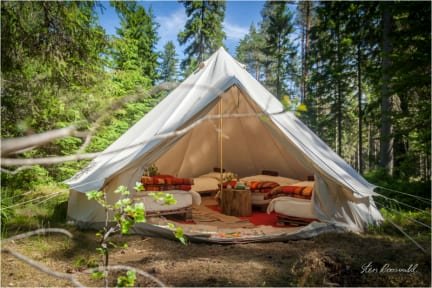 Come star gaze while using our outdoor hot baths and stay in one of our private bell tents. If you are interested in natural building, permaculture and off-grid living. Come stay, get inspired and partake in our weekly Sunday medicinal plant workshops and yoga sessions. If you are traveling in a group. Come use our pizza oven, make friends around a fire with other international travelers and stay in one our four bed bell tents. If you are looking to unwind and relax. Come wander the many trails around the property, partake in yoga and enjoy a long soak in the sauna. Check our Facebook page for upcoming events. There is always something happening here!